Knitting - remember when I used to do that?! Well I still do, but most of this year's knitting and crocheting has been for other people. I'm going to start off with what I've made for myself first. 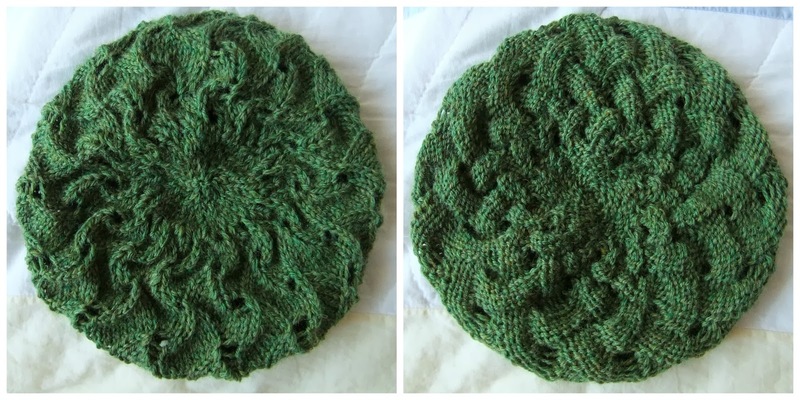 I finished this beret yesterday. The pattern is called Sitka Spruce, I came across it recently on Ruth from Roobeedoo's blog. 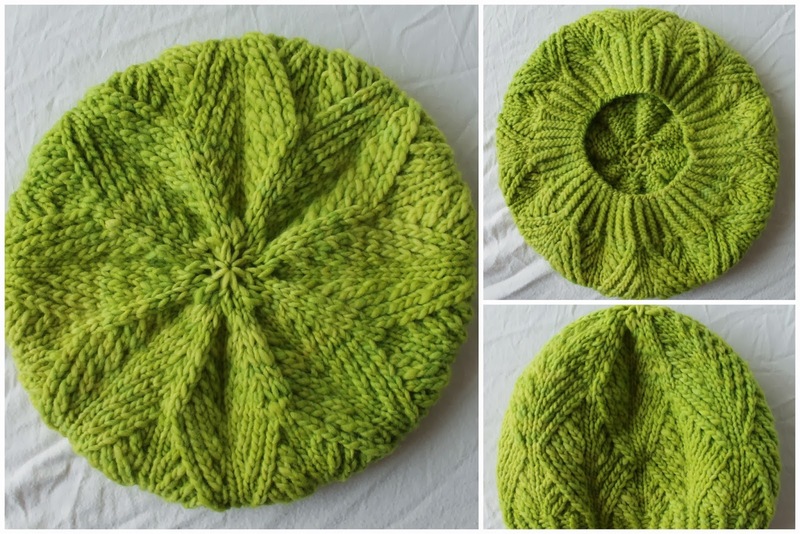 I had the Malabrigo Worsted Merino in my stash (this colour is called Apple Green), and as much as I do not need another hat, I had to make it. The pattern was surprisingly easy to follow until I got to the decreases, then there was a bit of frogging and tinking, and a life line was involved. But I love it! The other thing I knit for myself was these socks. These, I don't love so much. They're the basic MUMTU Toe-up socks (Ravelry link). I had planned to do a different, and much fancier, stitch pattern on the legs, but I got the stitch count wrong and ended up doing this spiral thingy. Also, I truly dislike the colour. I my defence, it looked much nicer wound up in a ball in the shop. The yarn is Zitron Trekking XXL (Ravelry link), I don't think I'll be buying it again because I don't like the way the colours are in such big blocks. That said, the socks fit perfectly and I have been wearing them. Next is my Christmas Crafting. I'm not great at picking presents, so I thought I'd make some instead. Then I thought I'd be really smart and start it last January, so I cast on a Brambles Beret using Malabrigo Worsted Merino (this colour is called Emerald - it's a bit more green in real life). Anyway, I was about near the decreases for the crown when I noticed a huge mistake in a cable right at the bottom. It got ripped out, and had a think about itself until about August. I'm pleased with how it turned out though. Then I made a QL Slouch beret. This is a Woolly Wormhead pattern, and it's reversible. I haven't come across this before, and thought it was very clever. The yarn I used is Debbie Bliss Blue Faced Leicester DK, I got it from This Is Knit in Dublin and the colour is called Sage. The last of the Christmas presents were these shopping bags. I ended up having quite a production line going when I was making these! And bonus crafting points to me because I only had to buy fabric for one of them, the rest of the fabric was left-overs from other projects! You can find the free, downloadable pattern here. These are reversible, and I had made one for myself during the summer. I use it for bringing my lunch to work, but it's also very handy as a shopping bag. Earlier this year a 5p tax was introduced on all plastic and paper carrier bags in the shops here in Northern Ireland. It's really annoying when you forget to bring a shopping bag with you, so I thought these would be a good idea for presents. My final, and non-Christmas, present was this blanket for a new baby in my family. 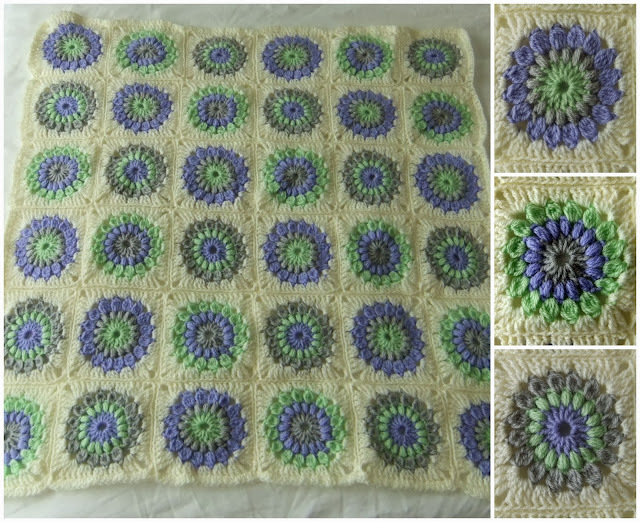 The pattern for the squares is called Sunburst Flower Granny Square (click on the link, then click on the Translate button on the right of the page), and they were fun to make. Naturally, I had asked Santa for some crafty goodies, and he didn't disappoint! I got Colette Patterns Ceylon dress pattern, Butterick B5748 dress pattern, and 3 metres of black watch tartan fabric. I spent most of Boxing Day crawling around the floor, cutting Simplicity 2444 out of it. Sore knees!! I also treated myself to some Rowan Felted Tweed DK yarn in the sales. I ordered it from Attica on Friday morning, and the Postie delivered it on Saturday! It's hopefully going to become a Manu cardigan. I hope Santa was good to all of you, and happy new year! Great idea to start your Christmas crafting early on! As usual, I left mine far too late! I love those bags you made and shall have to check out the pattern. Happy New Year to you and here's to 2014 being a year packed full of knitting and sewing! I could be really organised and start next year's soon, but I know it won't happen! The bags are really easy to make, and the instructions are great. Happy New Year! 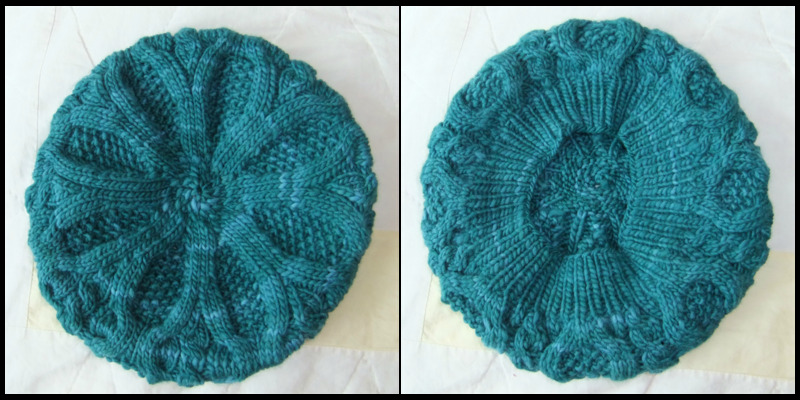 Thanks for the links to the great hat patterns - I love the brambles beret! Isn't Brambles lovely?! I made one for myself a few years ago, and it's one of my favourite berets. Oooh, the apple green beret is especially pretty! I love it! Thank you! It had it's first outing this morning when I work it to work. It kept my head lovely and warm when it was dark and freezing at stupid o'clock! 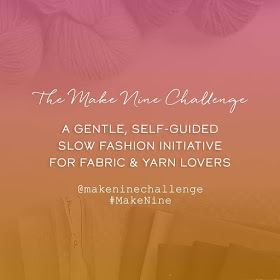 I was actually thinking the other day that you have been doing an awful lot more sewing than knitting recently (well, on the blog anyway!)! I absolutely love your beautiful berets, such lovely designs and really wonderful presents - I'm very jealous! And you got some really lovely presents yourself too - I've had that butterick on my wish list for a while now. Hope you had a lovely Christmas Lynne and a very happy new year to you too!!! I have made so many berets, it ridiculous! I have a box full of them, but I love making them. 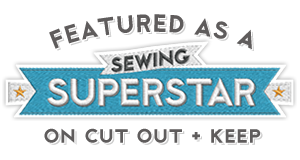 I hope Santa brought you some sewing goodies! Excellent makes here but my favourite is the emerald beret. That is all kinds of gorgeous! Thank you! The beret has been getting a lot of wear this week! Your friends and family are so lucky to receive these as gifts, beautiful! Looking forward to seeing the dress too. Happy New Year! Thank you! Everybody loves their presents, which is always a relief! My dress was finished yesterday, I just need to get some photos of it, but the weather is so rubbish at the minute. I'll have to wait to a dry day. Thank you! It was the texture on the hat that really drew me to it. I was so pleased with how the blanket turned out, and the baby loves it!